The intriguing idea of family winemaking excellence spanning three generations has captured the attention of consumers and critics alike. 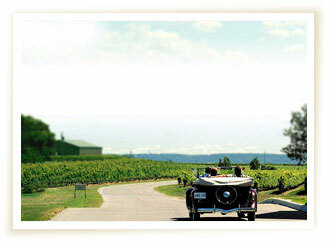 The Andrew Peller Wine story is one of vision, determination to win, overcoming adversity and a great number of people whose hard work and dedication have built an industry leading wine company. Since our founding in 1961, our company's goal has been to produce and market a full range of high quality wines that exceed the expectations of our customers. The widespread acceptance our products have received is evidence of our success and can be directly related to the skill and dedication of our employees. We work hard to build a team environment where open, frank and respectful communications from everyone at every level is essential. We remain firm in our belief that hard work, innovation and team spirit will be the keys to our future success. It's really quite simple - in business, people make the difference. Do you believe? Come, journey with us! Click here for current job postings.